AuCalc – is a Personal Money Analytics Platform. Functionality of AuCalc is divided into three Main Categories, which include – Money Analytics, Time Analytics and Assets Analytics. 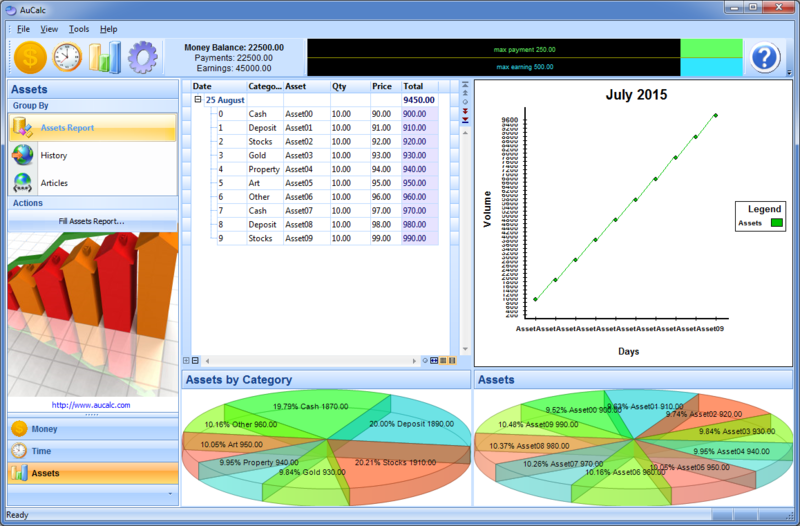 Money Analytics Pane allows to analyze Payments and Earnings for a Month and in History Perspective. 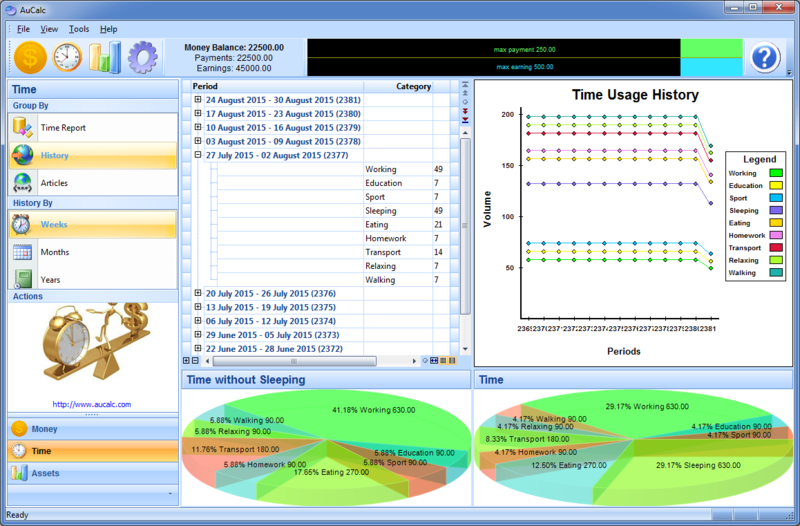 Time Analytics Pane allows to analyze Time Usage for a Week and in History Perspective. 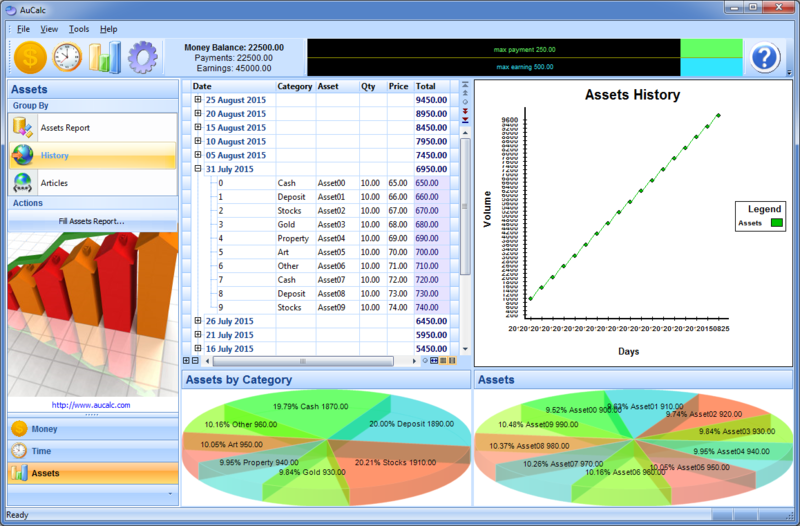 Assets Analytics Pane allows to analyze your current Wealth and in History Perspective. 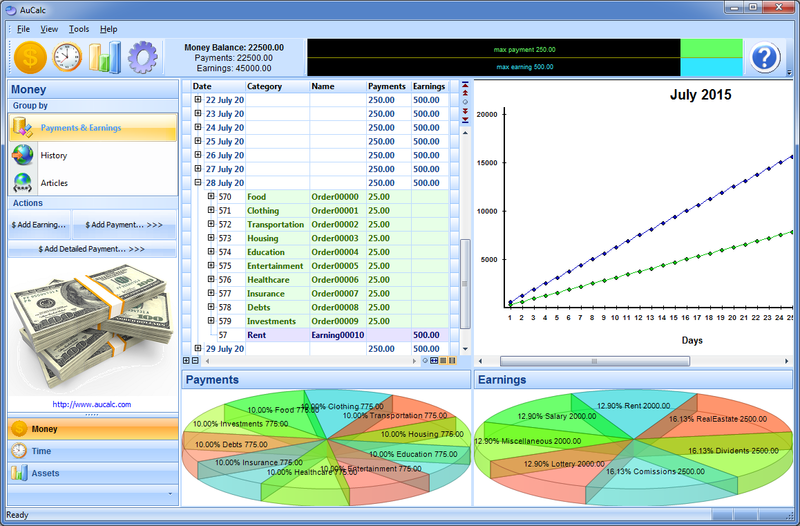 To analyze Money Balance just enter Sum and Category of Payment or Earning, AuCalc will automatically recalculate Total Sums and update History Statistics. 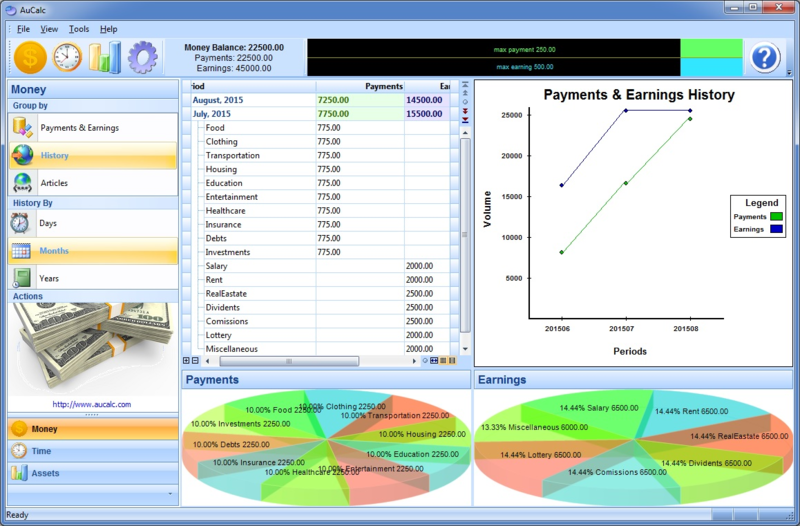 3D Pie Chart allows to analyze Payments and Earnings by Categories. You will always to know Current Money Balance, Time Usage by Categories and you Current Wealth! Earning money and having it is not the same! Careless spending and lack of budgeting skills plague millions of families worldwide. AuCalc help you budget and track your expenses in order to put you on the path to financial health and stability. 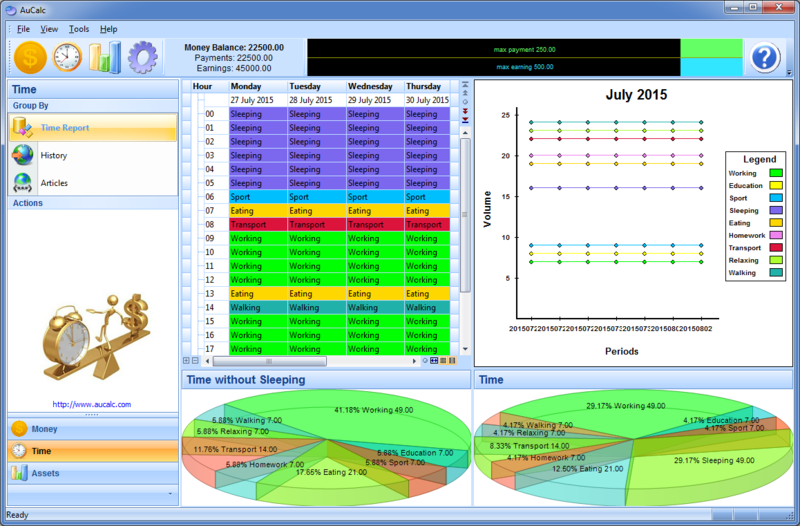 The software is compact, brainlessly simple and extraordinary effective. The program has three modules – Payments and Earnings, Time Usage and Assets. AuCalc is noticeably uncomplicated and has a very low learning curve, which makes it perfect for unsophisticated PC users. The software isn’t bloated with extraneous unnecessary options and is very reasonably priced.